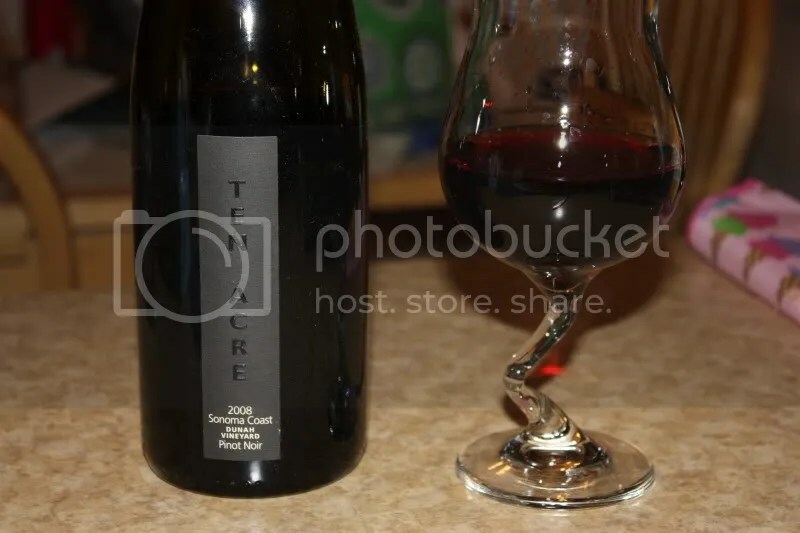 *Disclaimer: I received this wine as a sample from Cornerstone Cellars. Today turned out to be a gorgeous day in the nation’s capital, so it seemed a perfect time to bust out some Rose. 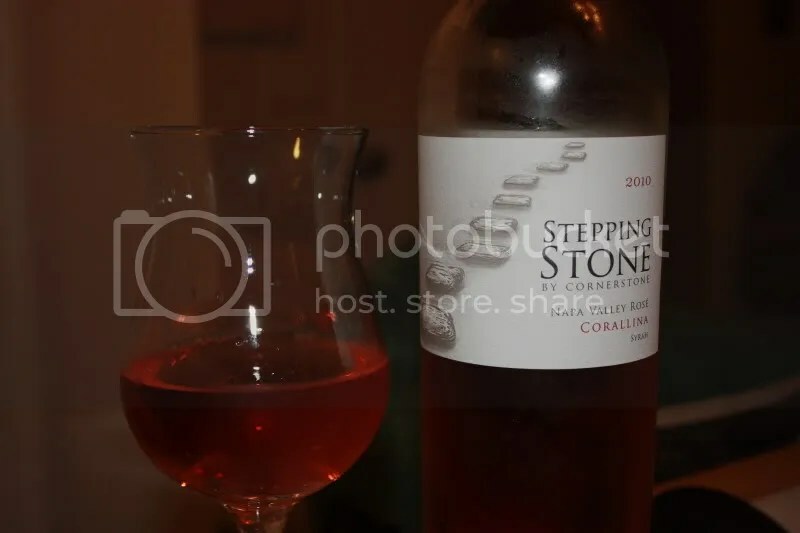 I plucked the 2010 Cornerstone Stepping Stone Corallina Rose from it’s resting place in the basement to join us on the back porch for some afternoon sipping. The Corallina Rose retails for $18, has a real cork closure, clocks in at 13.9% alcohol by volume, and is made from 100% Syrah. 1.) If you like your Rose with acid to spare, this one is for you. 2.) The palate mimicked the nose perfectly in this wine. 3.) 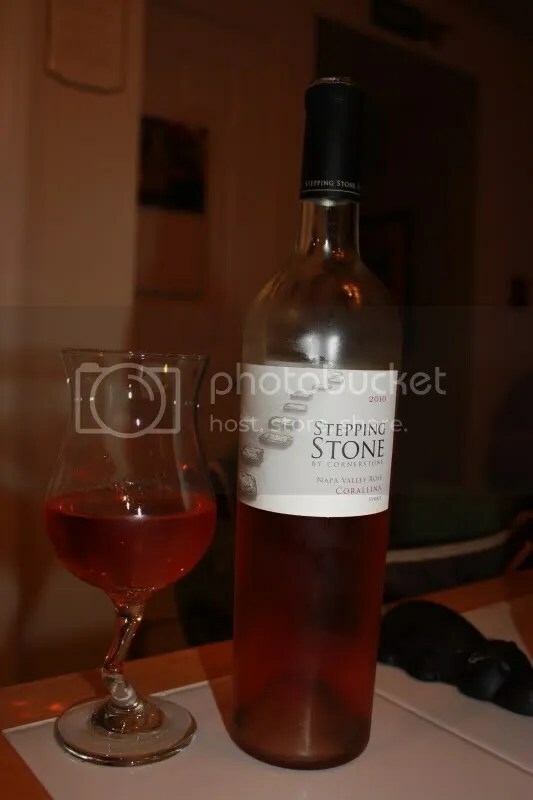 The Stepping Stone line from Cornerstone is pumping out some great wines, my fav is the Cabernet Franc. 4.) We just stopped by Cornerstone on our latest Napa trip, look for that post soon. On the nose and in the mouth I got lime, raspberry, cherry, strawberry and spice. The red fruits smelled delicious coupled with the racy acidity on this Rose. Pair with BBQ this summer for a great treat. 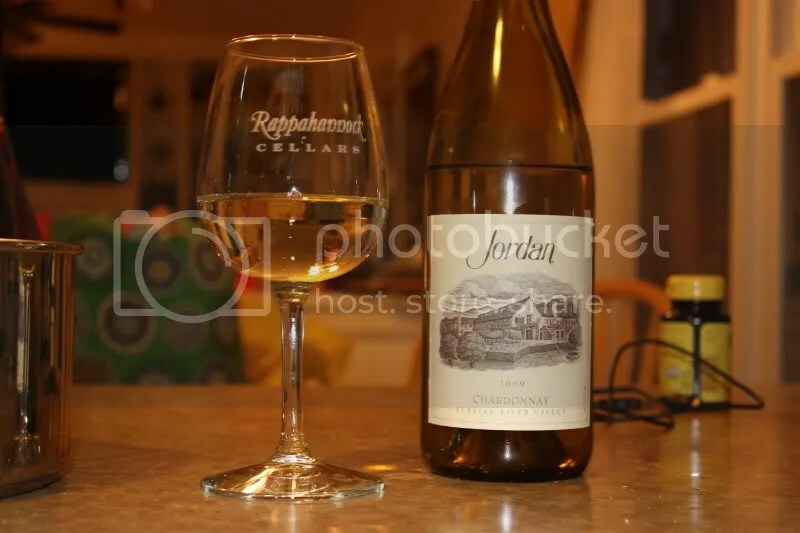 As a prelude to our recent CA trip, I pulled this bottle of 2009 Jordan Chardonnay from the basement, since we had plans to visit Jordan while in the area. The wine has a real cork closure, clocks in at 13.5% alcohol by volume, and retails for around $25. I have lots to tell you about our visit to Jordan, but that is (mostly) for another post! 1.) 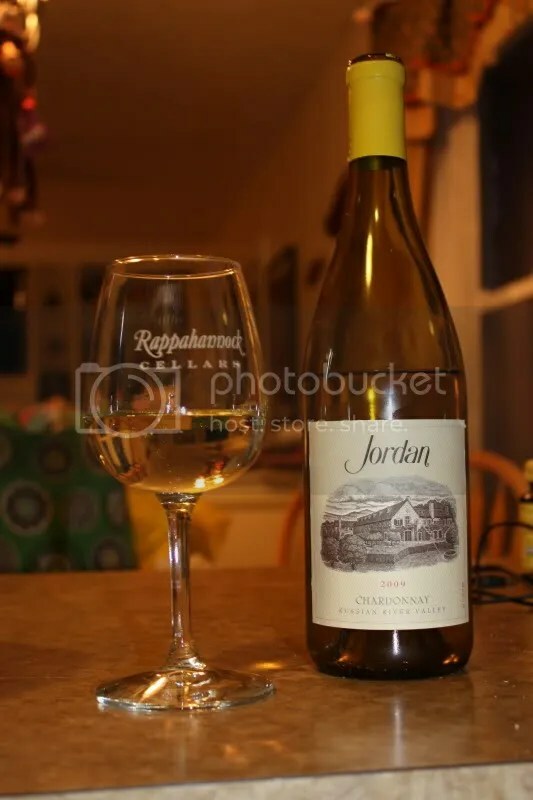 Jordan does two things: Chardonnay and Cabernet Sauvignon. They do them well. 2.) This wine was like an excellent apple pie in a glass. 3.) I don’t think I have ever seen as many stainless steel tanks in one room before, prior to visiting Jordan. 4.) With well-integrated oak lending body and structure to the wine, I think this would appeal to a wide spectrum of Chardonnay drinkers. On the nose I got pineapple, spice, apple, fresh pear, baked apple pie, baking spice, and lemon curd. In the mouth I found apple, pear, spice, yellow apple, and slight cream on the finish. The wine had great structure and body, with a long, smooth finish. Sorry for the radio silence this past week. Mr. Wannabe Wino and I took our annual trek out to Sonoma last week and I tried (as much as possible for someone as addicted as I am) to disconnect from the computer. Helped along by spotty wireless, it wasn’t that difficult! To start back down the Sonoma trail, I thought I’d tell you about a wine I had recently that was just absolutely lovely. 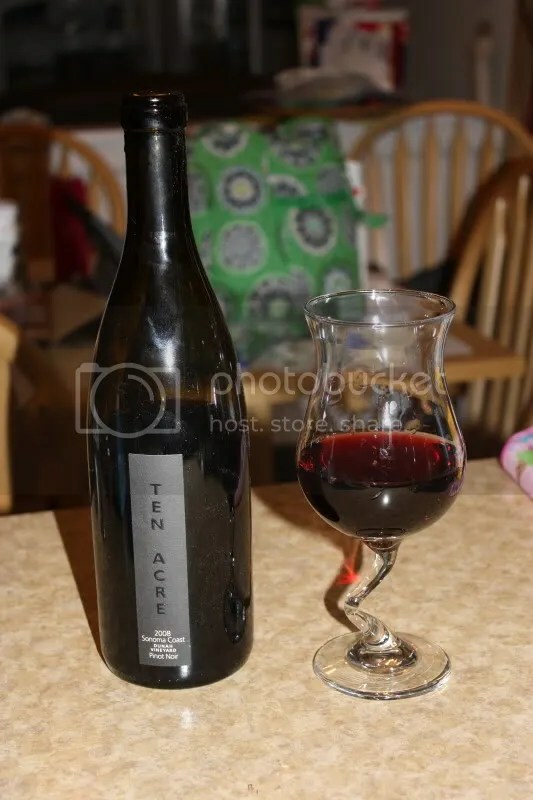 Lurking in my basement was the 2008 Bella Ten Acres Pinot Noir Dunah Vineyard. I purchased this wine in club shipment, it clocked in at 14.6% alcohol bu volume, and had a real cork closure. 1.) Bella’s specialty is Zin, but this wine showed the depth of their wine-making program. 2.) In an attempt to find out more about Dunah Vineyard, I learned that the family makes it’s own wine as well. I must try it soon. 3.) Russian River Valley Pinot Noir rocks. 4.) Despite the higher alcohol content, this wine was very well balanced. On the nose I found cedar, smoke, warm from the sun raspberries, chocolate powder, herbs, sage, and cherries. In the mouth I got pepper, black cherry, raspberry, herbs, more cherries, and a chocolate note. The wine had great acidity and I found the fruit to be fresh and juicy.